Progressive apraxia of speech (PAOS) is a speech disorder resulting from an inability to send commands necessary to direct movements for normal speech due to a neurodegenerative condition. When the primary manifestation of neurodegenerative disease is apraxia of speech, it’s known as primary progressive apraxia of speech, or PPAOS. Dr. Joseph Duffy discusses the relationship between PPAOS and classifications of primary progressive aphasia, as well as other neurologic signs and symptoms that eventually emerge in people with PPAOS. Using neuroimaging and autopsy findings, Dr. Duffy examines localization and the underlying pathologies associated with PPAOS, and summarizes relevant medical treatments and behavioral therapies. Apraxia of speech (AOS) can occur as a prominent and sometimes primary or only manifestation of neurodegenerative disease. 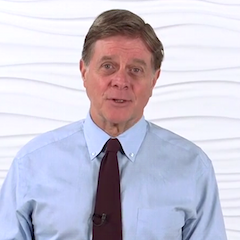 Join Dr. Joseph Duffy as he uses an illustrative case example to describe the clinical features of primary progressive apraxia of speech (PPAOS) from the time of onset to the patient’s death nearly ten years later. Dr. Duffy also discusses primary progressive aphasia (PPA), its variants, and the relationship of each PPA subtype to PPAOS. Through the presentation of four patient case examples, Dr. Duffy illustrates the history and presentation of PPAOS and progressive AOS accompanied by aphasia. Speech characteristics that justify the diagnosis of AOS are highlighted in the presented examples. Magnetic resonance imaging (MRI) and positron emission tomography (PET) scans of the brain reveal differences between PPAOS and PPA. Autopsy findings allow for further analysis of underlying pathology and histochemistry of PPAOS and PPA. 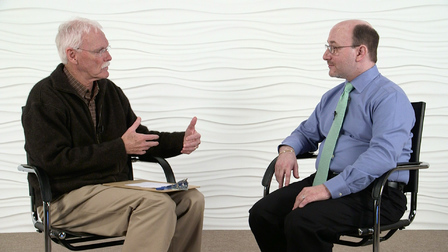 In this course, Dr. Duffy highlights the importance of the clinical diagnostic distinction between these diagnoses relative to prediction of underlying pathology. With limited data supporting treatment effectiveness for PAOS/PPOAS, clinicians largely rely on management and therapies for apraxia of speech and neurodegenerative communication disorders in general. Staging and counseling emerge as important components in the management of PPAOS. Dr. Duffy concludes this course by answering questions about apraxia of speech disorders from a speech and hearing sciences doctoral candidate.